Inder Loves Folk Art: Books you're gonna need if you decide to buy that farm or start that commune, Part 1. 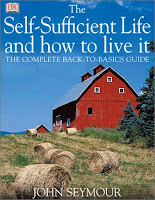 Books you're gonna need if you decide to buy that farm or start that commune, Part 1. This is the classic treatise on intensive vegetable gardening. It's been around since well before I could read, but it's still the best. 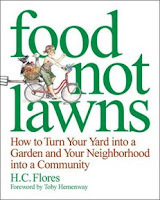 It's required reading for small farmers and communes, but it's also the best advice on backyard gardening in small spaces. This is fiction, but it's also a manifesto about the joys and pains of farming, and the all-important land. How to build your house and barn and fences, raise livestock, grow crops, and sell and preserve your harvest. More inspirational fiction. Take-away point: Even noblemen can get satisfaction from scything their own wheat. Here's the guide for the urban farmer. A manifesto on dumpster-diving, community-garden establishing, sewage composting, guerrilla seed-throwing, protest-organizing, and other essential skills for the "off -the-grid" city dweller. Um, you might not have to read this whole book to find out that the answer to life, the universe, and everything is "cultivate your garden." Mostly, this is all about building your "off-the-grid" eco-green-house, with a little bit of advice on veggie gardening on the side. 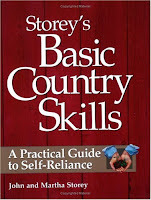 This isn't my specialty (yet), but my friends inform me that this is the book on "putting up" your produce. Talk to me later this year, when I will be faced with harvesting no less than six (edit: now seven) tomato plants, a loquat tree, and a persimmon tree. This is my favorite - Steve and I especially love to pore over the pictures indicating how to make the most of 1 acre, 5 acre, and 10 acres plots (there are also guidelines for city gardens). A lovely mixture of practical advice and eye-candy. Mmmmm. 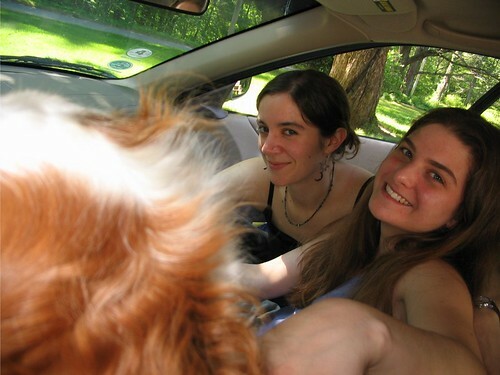 Wow, KATIE beat me to posting a comment here? I'm really slipping. Just wanted to point out that we have #s 1, 2, 4 and 6 for sale for $2-4 at Blue Rectangle. Come visit me at work and start planning your back-to-the-land scheme now! KT - Yes, I should've included Marx's "Das Kapital" on the list. At the time it seemed tangential, but it turns out, it's never actually tangential. The key in "Anna" is that Constantine, the OWNER of the land, gets pleasure from scything his own wheat. But then, he gets to enjoy the products of his labor. You never get as much enjoyment when your labor-power is being exploited by a capitalist pig and you are alienated from the fruits of your labor. See Das Kapital, end of Chapter 1. Hee hee.